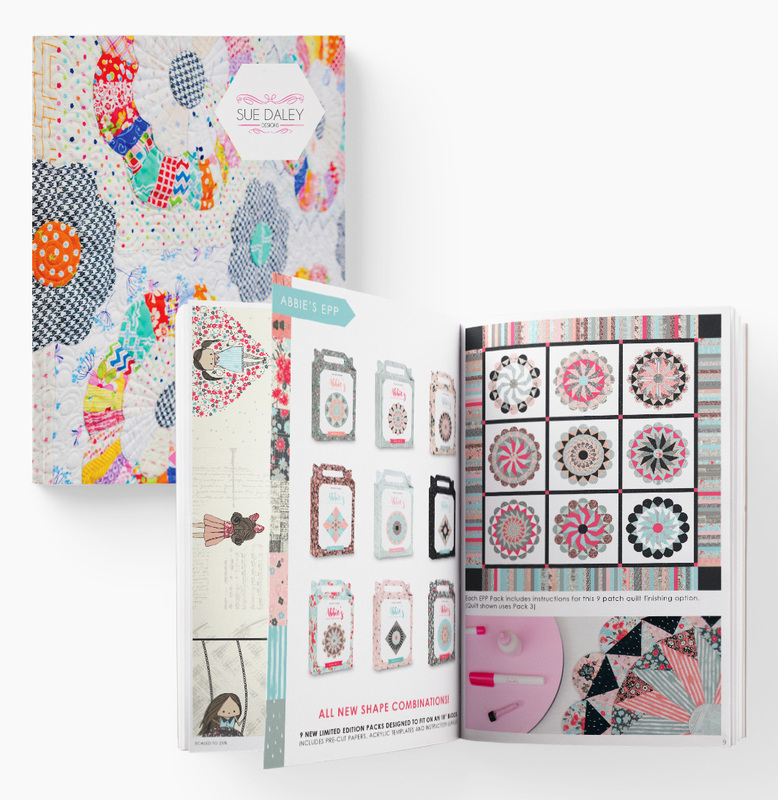 Sharing my Design Secrets this Week. 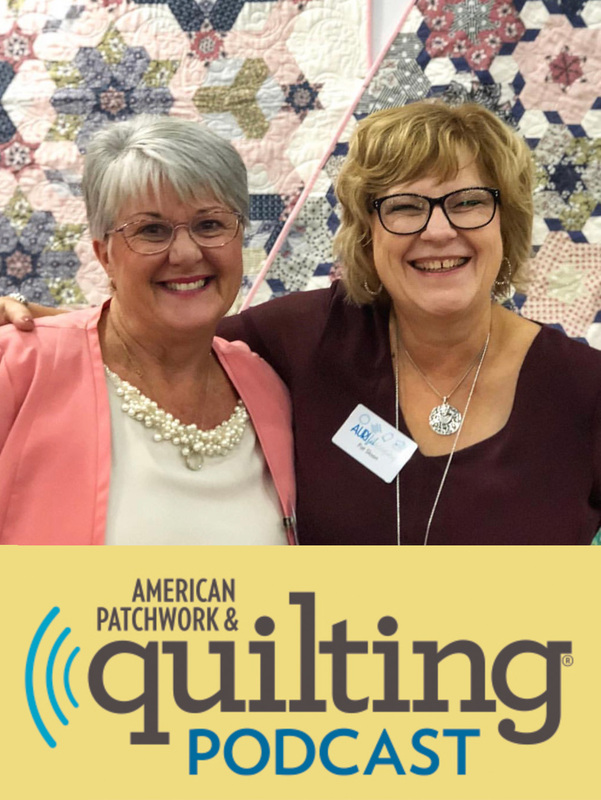 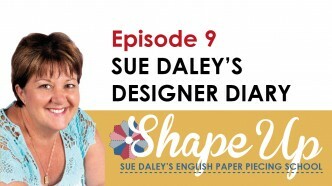 Learn how to use equilateral triangles and fussy cut fabrics in Episode 3 of Shape Up with Sue Daley YouTube Video Series. 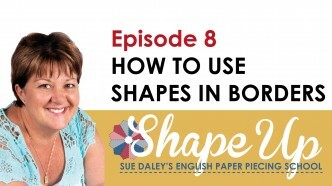 Episode 2 of my Shape Up Video Series is ready to watch. 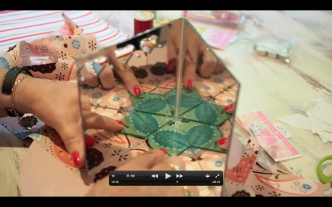 Learn how to use the 6 pointed star shape and more tips and tricks. 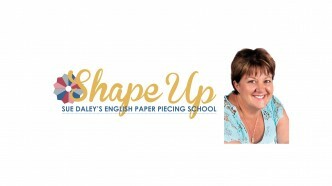 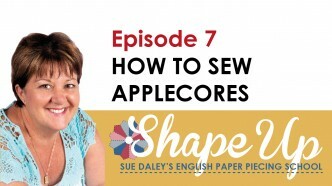 Come check out Sue Daley’s new Video Tutorial Series ‘Shape Up’. 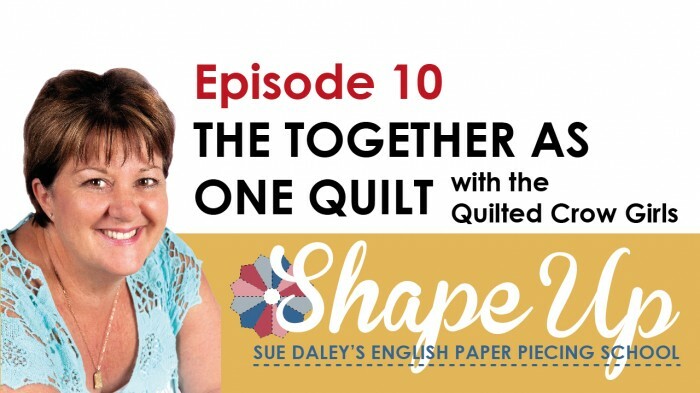 A series designed to teach you everything you need to know about English Paper Piecing and introduce you to the world of limitless possibilities with this age old craft as we go through all the different shapes and possible combinations.